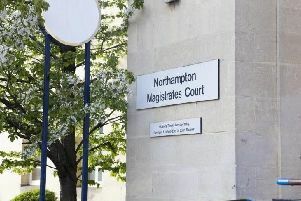 A 70-year-old man was using a cash machine in Northampton when he was robbed of his money. The pensioner was using the cash machine in Butts Road, East Hunsbury between 1.10 and 1.20pm yesterday (Thursday) when he was approached by a man. The man pushed the 70-year-old to the ground and stole his cash. Police have issued a CCTV image of a man they would like to speak to in connection with the incident. Witnesses or anyone with information are asked to contact Northamptonshire Police on 101. Alternatively, information can be given anonymously to Crimestoppers on 0800 555 111.